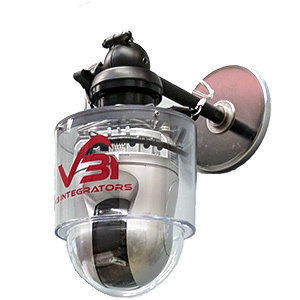 The RDC or Ruggedized Dome Camera from V3I is designed to overcome certain challenges faced by other dome housing designs. 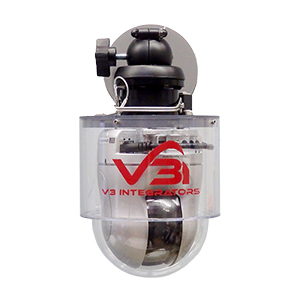 The clear polycarbonate housing and dome assembly is incredibly robust and allows the operator to quickly ascertain the current LAN connectivity status of the camera and the design makes maintenance a snap. The RDC uses the best materials throughout: all stainless steel hardware and high quality metal housed RJ connectors.